Lindstrom has been keeping the homes of South Florida cool and comfortable since 1975, offering the highest HVAC skill level matched with the best quality service. We’re proud to serve our neighbors and work to earn your trust and confidence with our 100% satisfaction guarantee. Lindstrom Air Conditioning has more than 40 years of experience and industry knowledge, ensuring your AC repair is performed correctly the first time, and we offer a 100% satisfaction guarantee. 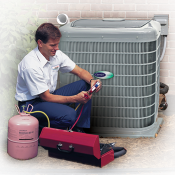 We can repair any make or model of air conditioner, heat pump or cooling system in your South Florida home. 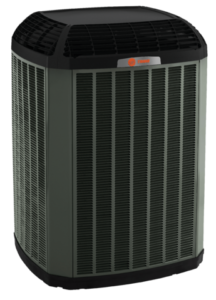 Lindstrom Air Conditioning is proud to offer Trane home comfort systems. We have a wide range of home air conditioning systems that will fit every budget and meet every comfort expectation. At Lindstrom, we provide year-round solutions for our South Florida neighbors, including options on how to warm up a chilly January night. Heat pumps or heat strips (installed inside an air handler) are two practical solutions. 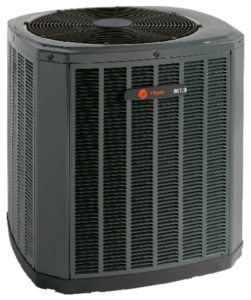 Available with either single or variable speed motors, Trane air handlers make a significant contribution to the overall efficiency of your HVAC system. That’s because the more efficient your air handler is, the less work your outdoor unit has to do to make your home comfortable. Nexia™ Home Intelligence from Schlage® can make everything in your home speak one simple language by combining wireless technology with simple web access. Zoning systems save you the expense of heating or cooling areas of your home that are rarely used. With zoning, you can have the same flexibility with your temperature as you do with your lighting. We offer a complete line of thermostats to fit any budget or lifestyle, both programmable and non-programmable, designed to maximize the efficiency of your home comfort system. Whether you’re replacing an AC system or remodeling a bathroom, we can help. First, you need the right contractor. With so many to choose from how do you know if you are making the right choice for your project?